A customised live aboard 50ft (16.5m) catamaran specialising in diving, is based in Zanzibar, available for day sailing or for longer trips. Is fully equipped for diving and Deep Sea Fishing and is crewed with a skipper, a chef, a deckhand and when necessary a dive instructor. Has 4 double cabins with en-suite facilities in each, a DVD/VCD player, surround sound stereo along with a long list of the necessary safety and navigational equipment. 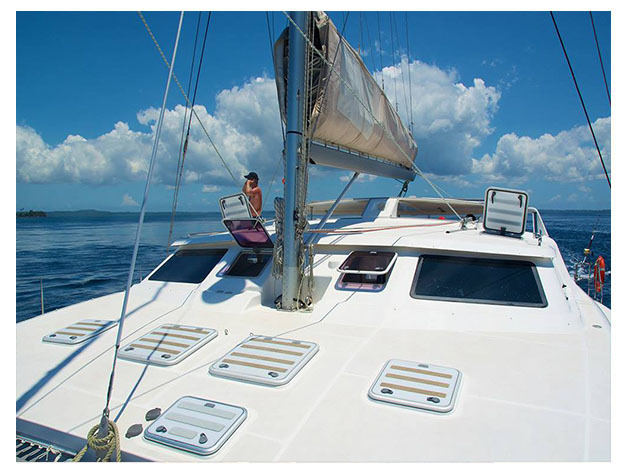 We offer a wide variety of trips onboard catamaran to suite the needs of individual customers. The boat is hired on a per person per day basis so guests are free to specify where they want to go and what they want to do. 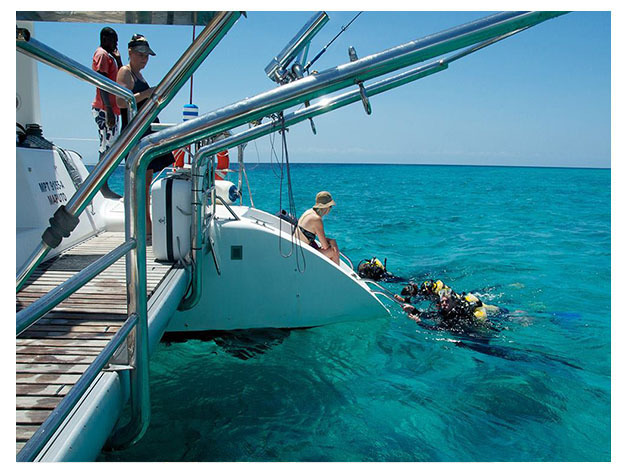 All sorts of excursions can be arranged, from sunset cruises to customised diving trips.